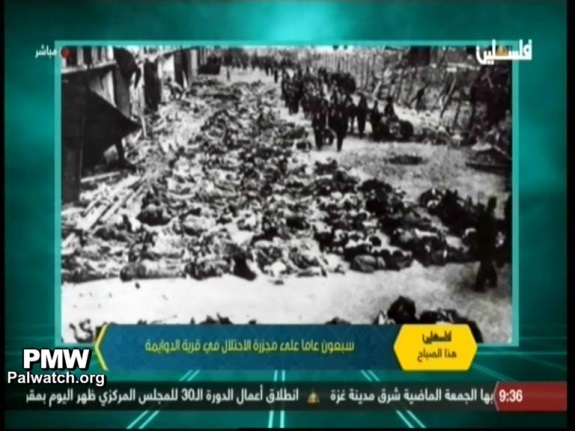 PA TV showed a photo with rows of dead bodies claiming they were Arabs killed by Israelis in the Arab village of Al-Dawayima in 1948. In fact, it was a photo of Holocaust victims in a concentration camp. PA TV already lied about this photo of Holocaust victims earlier this year. Then they told their viewers they were Arabs killed by Israelis at Deir Yassin in 1948. Purporting to be showing images of Arab victims from the village of Al-Dawayima which the Israeli army captured during Israel’s War of Independence in 1948 (see note below), official PA TV deceptively showed a photo from a Nazi concentration camp showing victims from the Holocaust. Ironically, this is not the first time PA TV have deceived their viewers about this concentration camp photo. 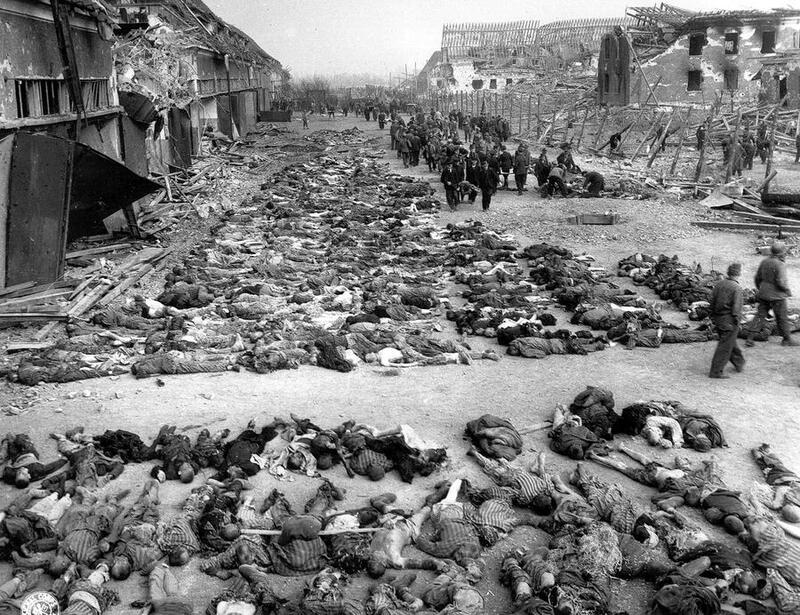 Palestinian Media Watch exposed earlier this year that PA TV presented this very same photo claiming it showed Arabs killed by Jews on April 9, 1948 in the village of Deir Yassin. Click to view PMW’s documentation of the PA's Holocaust libels and misappropriation. Al-Dawayima - On Oct. 29, 1948, during Israel’s War of Independence, during a battle for the capture of the Arab village of Al-Dawayima in Southern Israel, in addition to combatants, Arabs civilians were also killed. Accounts differ as to whether the civilians were killed during the fighting, as the combatants were fighting from the homes, or were killed after the fighting. While some sources claim a death toll of over 100, a UN report stated that 30 Arab women and children died in the incident.